Fatima Goss Graves, head of the National Women's Law Center, said the new rules would radically weaken federal oversight of colleges responding to campus assault and sexual harassment and would make schools "more dangerous." The Washington Post via Getty Images, FILE Meghan Downey of Chatham, N.J., protests as Education Secretary Betsy DeVos announces changes in federal policy on rules for investigating sexual assault reports on college campuses in Arlington, Va., Sept. 7, 2017. 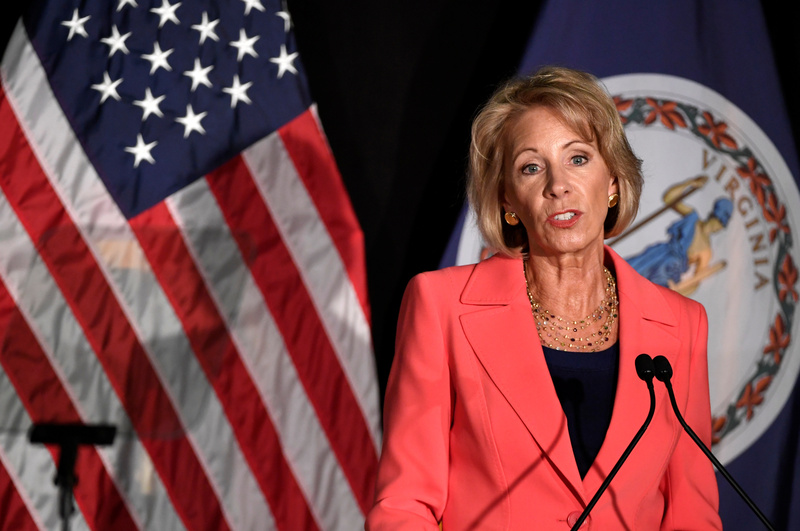 New rules proposed by Betsy DeVos for schools and colleges significantly narrow the definition of what counts as a reportable sexual assault and allow schools to act only if an assault occurred on campus. The Trump administration on Friday proposed new rules for schools dealing with sexual assault and harassment allegations that would narrow the definition of sexual harassment and offer greater protections for those accused of wrongdoing. What @BetsyDeVosED is doing is a blatant attempt to discourage reports of already underreported campus sexual assaults &amp; allow colleges to sweep this issue under the rug. Follow @knowyourIX &amp; @ItsOnUs for ways to fight back &amp; voice your opinion. The department says the proposal ensures fairness for students on both sides of accusations, while offering schools greater flexibility to help victims who don’t want to file formal complaints that could trigger an investigation. Critics, however, argue that it instead strips assault victims of their rights while protecting the goal is to basically reduce the obligation of schools to address sexual harassment,” said Elizabeth Tang, an attorney at the National Women’s Law Center. Advocacy groups for victims say the Obama rules forced schools to stop brushing the issue under the rug, while advocates for accused students say it tipped the scales in favor of accusers. The new rule would define sexual harassment as unwanted sexual conduct that is "so severe, pervasive and objectively offensive that it denies a recipient's education program or activity." 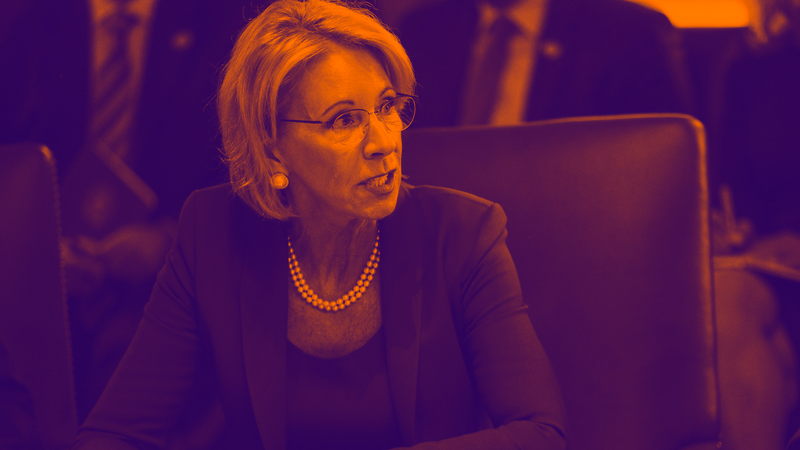 DeVos previously said the existing rules were too prescriptive, pressuring schools to take heavy action against students accused of misconduct without giving them a fair chance to defend themselves. The administration's approach, led by the Education Department under Secretary Betsy DeVos, comes in the era of #MeToo, in which victims' rights groups have said more should be done to protect survivors of sexual assault and to encourage women to speak up against harassment. 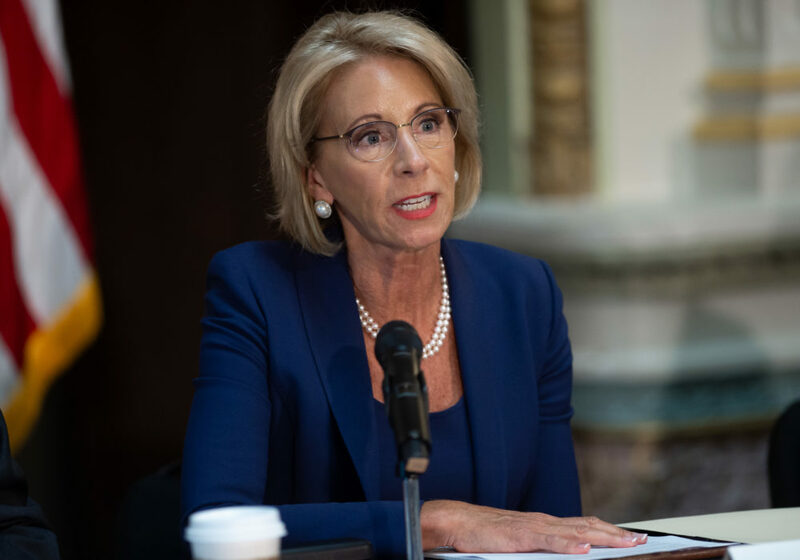 Education Secretary Betsy DeVos introduced new regulations on Friday that would give accusers of sexual assault on college campuses more leverage – a proposal that she claims would give them a fair shot at defending themselves. READ MORE: VIDEO: Fed up mom dressed up as clown to embarrass son at school Victims rights advocates believe this new measure gets schools off the hook for assaults that occur off-campus, thus allowing them to ignore these type of sexual harassment crimes. Betsy DeVos Education Department proposes new rules for handling sexual harassment and assault at colleges that would bolster rights for the accused. 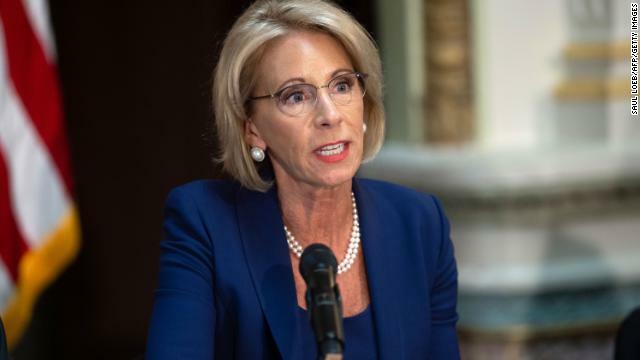 Betsy DeVos, the US education secretary, has proposed a major overhaul of the way colleges and universities handle complaints of sexual misconduct, narrowing the definition of sexual harassment and increasing protections for students accused of misconduct. The new proposal adds protections for accused students, giving them a presumption of innocence throughout the disciplinary process and the right to review all evidence a school collects.